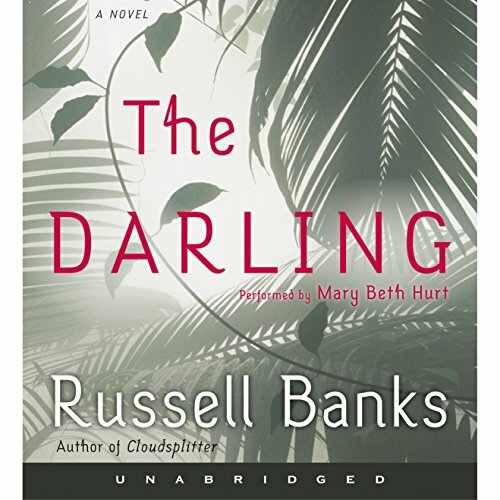 Set in Liberia and the United States from 1975 through 1991, The Darling is a political/historical thriller, reminiscent of Graham Greene and Joseph Conrad, that explodes the genre, raising serious philosophical questions about terrorism, political violence, and the clash of races and cultures. ©2004 Russell Banks (P)2004 BBC Audiobooks America, Inc. & HarperCollins Publishers, Inc. 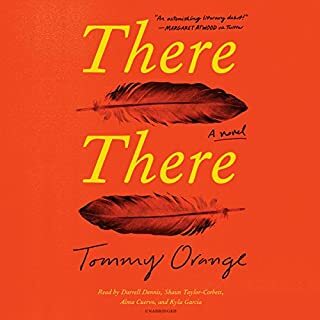 I have been listening to Audiobooks for years and this has been one of my favorite books. First of all, even though I know better, I could not believe that the author was not a woman. The constant shifting of focus from social behavior - both human and animal - to the individual conscience, was stunning. This book will appeal to readers who love politics, stories about different cultures, mysteries and wonderful character development. I am going to buy the book and read it again, something I seldom do. This book is really a masterpiece. Russell Banks is one of our greatest novelists in the English Language. His body of work shows an artistry with the language that few others meet. This novel ranks with Cloudsplitter. Banks' characters are flawed people, but the reader is enriched and enlighted by listening or reading them come to terms with their lives. In Darling Banks explores what it means to be moral by exploring complicated lives led fully. 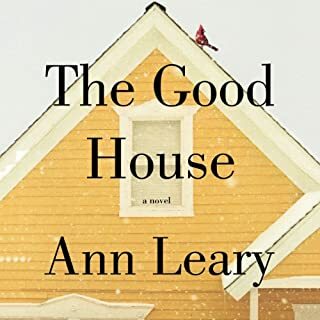 He brings a deep mediation on lyalty, empathy, language, social change, and loveas his main character explores her life. The narration is nearly perfect. This is an excedllent audio experience. This book by Russell Banks is a powerful volume, with particular resonance for, I believe, members of the baby-boomer generation, with [formerly] radical pretensions & an interest in third world developments. I found a remarkable number of parallels with episodes in my own life (of long ago, frankly) ... college, belief systems, foreign travel, interests. 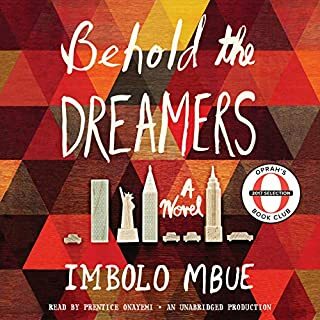 In narrow terms, this is the story of a one-time member of the SDS Weather Underground, who ends up escaping from the US to Africa, marries into the Liberian autocracy, lives through the bloody civil war of the late-1980s & 1990s. It is reminiscent of Graham Greene (e.g., the Comedians), but more powerful & more intimate. Hanna is not an alienated foreign observer of the same ilk as most of Greene's protagonists. It is reminiscent of Naipaul, but told from an American's perspective rather than a british-third-world perspective. This is extremely well narrated and very difficult to put down. Recommended highly. 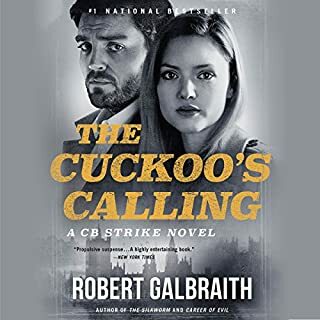 This is one of the best, if not the best, title I have listened to on Audible. The voice of the central character seemed very authentic to me, as she described both the external conflicts going on in Liberia and the heartrending internal conflicts and contradictions going on inside of her. In addition, Mary Beth Hurt does an amazing job with the narration! I loved his writing style as well as leaning a lot about Africa. surprises abound. I felt a tenderness toward characters that in real life I might not take the time to know. Master storyteller. I downloaded this expecting another book. One of the best books I have experienced on audio. The reader does an excellent job, the story is fascinating, the writing is some of the best I have read recently. This is one of the finest audio titles that I have had the pleasure to hear in more than a decade of listening. I had not been familiar with Russell Banks beyond having heard the name, but I had Liberian friends who lived through the disastrous past two decades. The Darling's premise is not very promising: the first person telling by radicalized daughter of privilege (sorry for all the "pr's"...) of the horror of the Liberian collapse. As it turns out, Russell Banks paints a complex portrait of a woman with all her contradictory impulses who penetrates into the "heart of darkness." I found it delicate, moving, even funny. The reading is superb, not intrusive but colorful and varied. I can't recommend this highly enough. Russell Banks is an excellent writer and this book is an excellent listen. It is very well read and the sound/engineering is very good. Banks' characters are drawn with unromatic honesty, sometimes a bit harshly, but that is true to the perceptions of the narrator. This would probably be a good book club selection, lot of fodder for chatter. 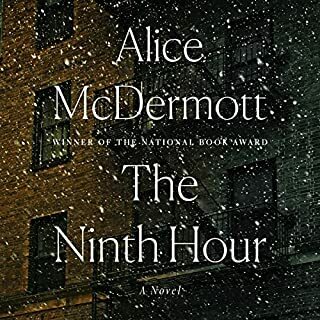 No one in this book makes a truly human connection with anyone else and in some way that undercuts the horror of the completely benighted mayhem that overtakes them. But the context is good and the pacing in subtle but very effective, you will be moved when he wants you to feel something. Whereas it is a totally engrossing book, I am still stuck on the fact that Hannah never did really want to find her sons. The plot of this novel is certainly riveting--you are carried along with the story, always interested to know what comes next. And yet I found it ultimately distancing, perhaps because Hannah never really felt authentic to me. She seemed to be a symbol or a caricature rather than a real woman. The story is most successful at showing the effects of American imperialism on a small country in Africa that was, in some ways, doomed from the start. And Banks does a very good job at weaving the real history of Liberia and its monstrous leaders into the fate of his fictional characters. And yet--it just never gelled for me. 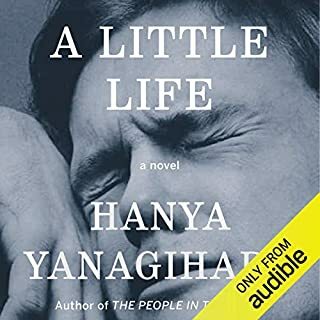 The narrator did a good job of capturing Hannah's passivity and preternatural calm, but in a way this just heightened my sense of Hannah's one-dimensionality.